Keeping bearded dragons together is commonly mentioned but highly debated on some forums. There is no set answer to this question: it can work in some situations, but sometimes bearded dragons need to be kept separately. A large enclosure. Bearded dragons need a fairly large enclosure to start with, and if you are keeping more than one in a tank then the larger the better so they can have some space to "call their own." I'd recommend at least a 125-gallon tank for housing more than one bearded dragon together. 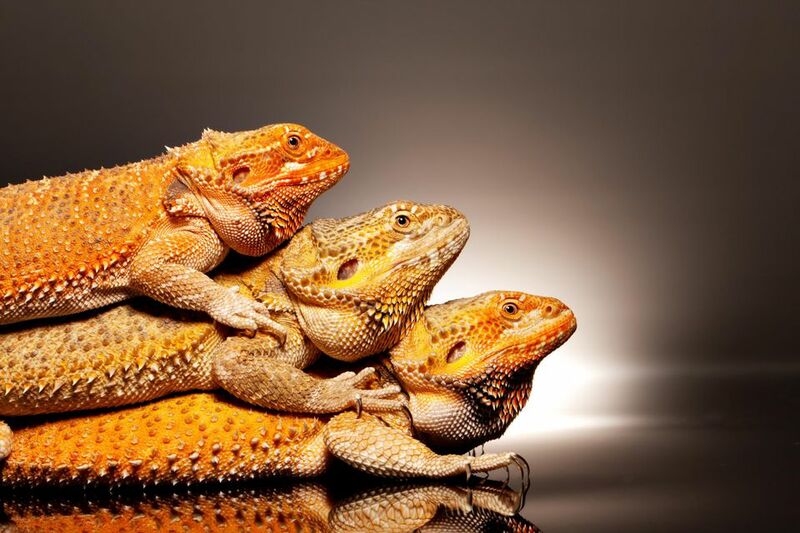 Bearded dragons that are kept together should be roughly the same size as this will avoid the situation of larger beardies dominating smaller ones. Never put more than one male in a tank. A female should not be housed with males until she is about two years old (old enough to breed), and make sure she is healthy and in good condition. Younger, smaller, or unhealthy dragons are likely to run into problems including egg binding. Even when all these conditions are met, sometimes they will not get along as it depends on the individuals involved. Also, males may be too aggressive with females, especially during breeding season, so they may need to be separated. If you choose to house bearded dragons together, just keep in mind that you may need to separate them if it isn't working out.